What does economics have to do with Christian origins? Why study such a connection? First of all, the New Testament makes many direct references to economic issues. But, second of all, the economy affects every other aspect of life (family, religion, community, work, health, and politics). How prosperous was first-century Galilee? To understand what it was like to live in a society, one must understand its economy. The study of the economy includes not only the goods and services of the society but also human labor and its control. The study must also take into account how fair the economy was to each family. 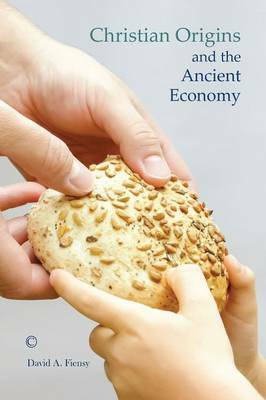 Those involved in the quest for the historical Jesus have discovered that the ancient economy is a major point of dispute among various interpreters. Was the early Jesus movement a socioeconomic protest? Or was it primarily a religious reform? These two approaches understand Jesus in remarkably different ways. This volume seeks to guide readers through some of the most controversial issues raised in the last twenty years on this important topic.